You know how it is: When someone who loves art buys Art, it's called collecting; but if a Fashion lover buys clothes, it's just "shopping". Sure, that may be true, in general, but what if Art and Fashion come together in one beautifully crafted piece of clothing? What then is it called? In essence, this continuous relationship between art and fashion have provide our wardrobe (and, by extension, our lives) with a multi-layered global perspective. The love affair between art and fashion is by no means a new phenomenon. In fact, one of the first to bring art and fashion together was the highly creative fashion figure Elsa Schiaperelli. In the 1930s, Schiaparelli worked with surrealist artist Salvador Dali to create one of the most iconic collections in history. The meeting of these two great minds produced the oft-referenced Lobster dress in 1937. 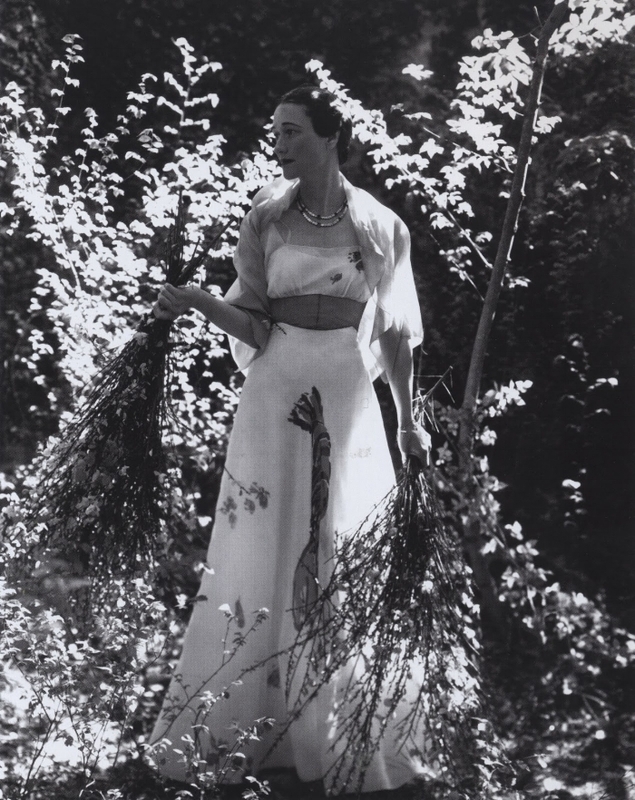 The silk organza dress was worn by Wallis Simpson for a fashion spread in Vogue that year. The Lobster Dress by Elsa Schiaparelli and Salvador Dali. Worn by Wallis Simpson in an editorial spread for Vogue magazine in 1937. The piece featured a giant lobster, which was painted by Dali, and was an homage to his 1934 creation New York Dream-Man Finds Lobster in Place of Phone. The two continued working together to create other fashion pieces that have since been regarded as icons. One of them is the surreal Shoe Hat, which was made by Schiaparelli and designed by Dali. The hat, fashioned into a woman’s high-heeled shoe, was modelled by Dali’s wife Gala, and featured in Schiaparelli’s Fall-Winter 1937-38 collection. But, despite their iconic status, Schiaparelli and Dali's works aren't always widely known outside of the fashion/creative world. Of course, the most obvious collaboration between fashion and art is Yves St Laurent's famous shift dress. Replicating artist Piet Mondrian's renowned primary-coloured block print art work, the dress, which was designed and created in 1965, reflected the popular culture of the 1960s - almost two decades after the death of the artist whose work was the basis of the inspiration. The "collaborations" between designers and artists more often than not inform us of the creative process behind a specific collection. Sometimes, designers are inspired by a motif or the story behind a certain artwork. Other times, designers are inspired just by that one piece of work they saw. Decades after Saint Laurent took the Mondrian pattern as inspiration for his design, Gianni Versace presented a collection that was similar in concept. This time, however, Versace was taken by the boldly coloured portraits of Marilyn Monroe and James Dean - the work of pop-art artist Andy Warhol in the 1980s. Versace's 1991 collection saw the literal translation of artwork to dress in the form of silk-screen portraits of the two late silver-screen stars. In the last decade alone, fashion houses and designers (young and old) have all produced collections that have either taken inspiration from Art, or saw them working together with artists. These include Louis Vuitton and its collaborations with various artists, including Stephen Sprouse, Takashi Murakami and Jeff Koons. Overall, it is true what the old adage of Oscar Wilde says: If you can't be a work of art, wear one. For more examples of the love affair between fashion and art, click here (or the picture below) to a previous story we've written about.